MGM, home of such classic franchises as the James Bond and Pink Panther series, will be entering a pre-packaged bankruptcy rather than a merger with Lionsgate. MGM shareholders overwhelmingly elected a Chapter 11 filing wherein 95.3% of the studio will be controlled by senior debt holders. The protracted struggle for MGM’s future has not been without controversy, as billionaire investor Carl Icahn—a major MGM stakeholder—was sued last week by Lionsgate for allegedly manipulating the potential merger for personal gain. Icahn’s lawyers must surely be busy, as he is also in hot water for alleged collusion with Blockbuster CEO Jim Keyes in the months leading up to BB’s bankruptcy. There’s no doubt that there are plenty of bankruptcies to go around in Hollywood these days. It will be interesting to watch how the new MGM (and Blockbuster, for that matter) attempt to become profitable. It will also be interesting to see what happens with Icahn and the multiple allegations of wrongdoing he has to deal with. We’ll keep you updated, as always. Feel free to visit the comments section and weigh in with your opinion in the meantime. 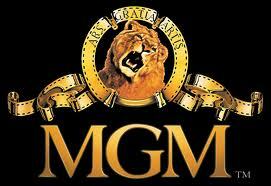 Didn’t MGM sell off its back catalogue some time ago? A lot of it is owned by Warner Bros.
Somebody will buy the Bond franchise. There’s too much money to be made for it to just fade away. Icahn’s like a bad penny, every time there’s shady dealing he turns up … makes you wonder. Will Summit step in to buy MGM? Weren’t they keenly interested at some point (and with billions of cash on hand from the Twilight series?). It would be a shame to see 007 and The Hobbit die over this. FWIW, I researched Icahn extensively when I was a research analyst in a former “life.” In my opinion, he is a financial criminal with anti-social tendencies. I’d rather talk with Lucifer himself, although they bear many similarities. My guess would be that this will bring us the next Bond movie. The banks are smarter than the studio of late. They’ll know guaranteed income when they see it. Many people suspected for a while that the studio heads were sabotaging themselves. The Hobbit trouble as well as shelving Bond were dead give aways. I mean really, Bond. You know it’ll make money. I’m suprised how bad this company has been doing over the last few years. Ever since Sony owned them…..
Sony never owned them as far as I know. They have a minority share, a seat on the board, and the first option of home video distribution. They lost distribution rights as far as I know. I could be wrong though. They were very vague about it all. Oh. Thanks! They did lose distribution rights, I know that much. Fox owns them now.